Gl Oh Nvm Gf Mod App! Vote for meh ill give u a cookie lol jk no cookies! In-game name:Gl Oh Nvm Gf <====Pwned! Extra info:ive been playing on rsps servers for 5 years now and i am 16 and i think i should be mod because im Trusting person i help/talk/introduce alot! 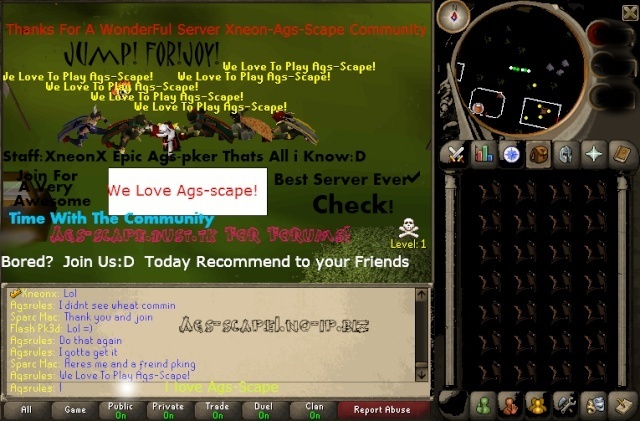 Have you ever been staff on other servers:Yes i have and all the experience ive earned on my way to ags-scape i think it will help my chances of being a mod and yea. Will you advertise for the server:I got syi or allgofree and i can tell my friends so ill take that as a yes! Will you vote everyday:OF COURSE!